Protero Inc builds custom grass cathcers for commercial and residential use. Our grass catchers fit a wide variety of lawn mowers including walk behind mowers, riding mowers, John Deere mowers and utility tractors. Our containers can hold anywhere from 7 bushels of leaves up to 22 bushels and can easily be dumped with the flip of a lever. Our zero-turn mower grass catchers are also ideal for residential use and lawn care companies who may have a variety of different sizes and brands of zero-turn mowers. Our grass catchers can hold up to 22 bushels of leaves in a 2-container or 3-container system. Furthermore, or zero-turn mower grass catchers can be emptied by pulling a lever conveniently located near the mowers seat. The dump lever is easy to pull and gives a secure and positive spring-like feel when the door is latched and locked into place. The improved tubular frame offers increased strength for demanding condition. 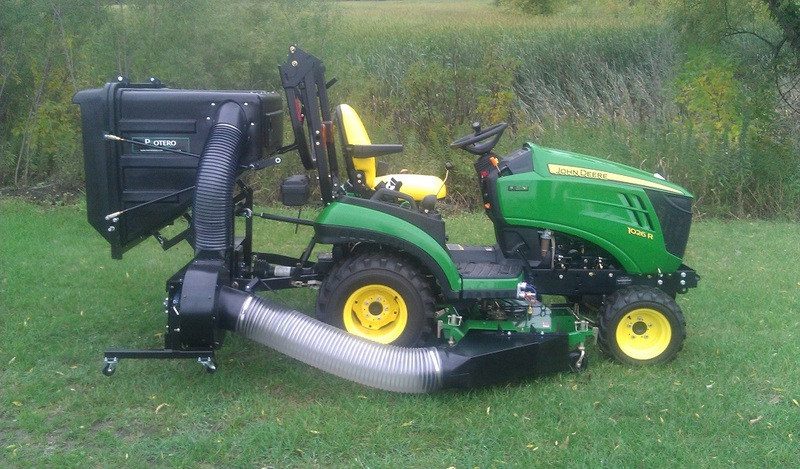 For those large jobs, our grass catchers for utility tractors makes picking up leaves a breeze! Our utility tractor leaf vacuum system can hold up to 22 bushels of leaves. Our largest utility tractor grass catcher comes with a powerful PTO blower that converts a 540 RPM tractor to spin our large steel fan over 3,000 RPMs. 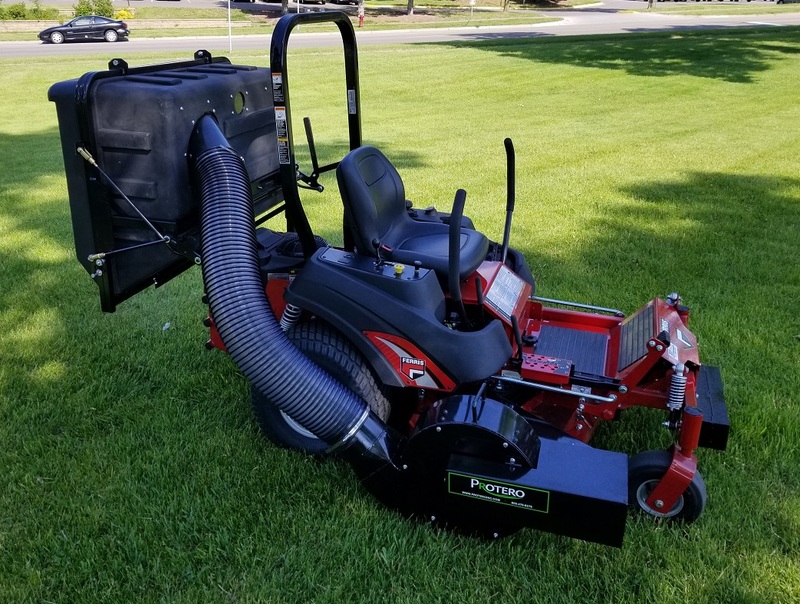 The blower canister comes with a bolt in steel liner to protect the housing and the whole system comes off in seconds using the standard 3 point pins or quick hitch. Our front mount grass catcher is ideal for commercial grade walk behind mowers. This front mount vacuum includes 2 30 gallon containers that can be lined with garbage bags that make bagging your customers leaves a breeze. 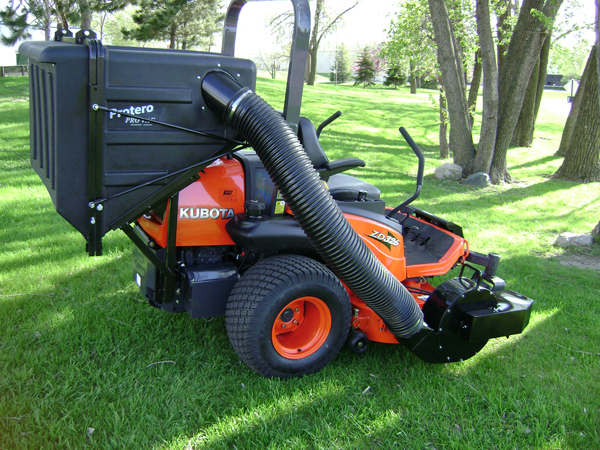 This 2-container front mount grass catcher includes a vertical blower that adds only 12 inches in width to your mower. Our newly redesigned commercial blowers are belt driven and offer a significantly longer belt life due to substantial head reduction. 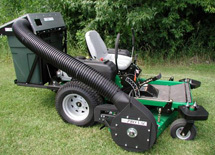 Our grass catchers include our commercial blower that adds up to 12 inches in width to your mower. The wide 7 inch tube allows for a smooth flow of leaves from your deck into the container system.